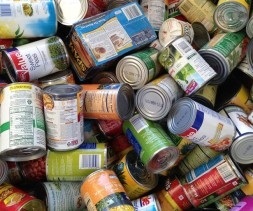 The Gentlemen's Social Club of Los Angeles is working with the Los Angeles Food Bank to put on a food drive for charity. We're raising food and money to fight hunger in our community and you can help! We've partnered with local businesses to put together awesome prize packages that we'll be raffling off. Two canned food items will get you one raffle ticket, and we'll be accepting cash donations as well. 100% of the proceeds will go directly to the Los Angeles Food Bank. We're looking for high quality, healthy food items like canned meats, vegetables, or fruits. For more information about what food items we'd like, click the button below. 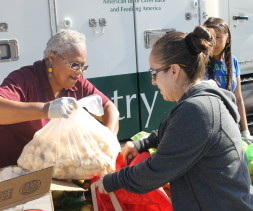 The Los Angeles Regional Food Bank has been around for over 40 years helping to prevent hunger in LA county. Through the help of food and cash donations, they collect food and distribute it to those in need in Los Angeles county, particularly needy children and seniors. They work with over 600 partner agencies and over 97% of the money they raise goes directly to charitable programs. Los Angeles is home to one of the largest populations of hungry people in the country – people who, for one reason or another, are unable to feed themselves. Many of these people are children and seniors, two vulnerable groups unable to support and feed themselves. By showing support and bringing canned food items, you're pitching in to make our community a better place. Once a month, the Gentlemen's Social Club descends on the LA Regional Food Bank's headquarters to dedicate a Saturday morning to giving back. On a typical day we'll help sort enough food to feed over 10,000 families in a few hours' span. Anyone is welcome to come out and join us for a day at the Food Bank – just sign up through our Facebook page.